We here in Pennsylvania have just finished a special election to replace a Republican Congressman who resigned from office for having an affair. His mistress got pregnant and the Congressman, a staunch pro lifer, recommended to her she get an abortion. Although this type of behavior may be acceptable in certain circles, it is not acceptable in the Republican Party. The Congressman resigned from office in disgrace. A special election was called to replace him until the end of the year. An interesting side note is that as things stand now, both of the candidates live outside of PA 18 as of the beginning of 2019. The new boundary is under dispute in the courts so what will happen in the 2018 elections is still to be determined. In the race just completed, the Republican, Rick Saccone, a conservative who was in the Pennsylvania Legislature, ran a campaign that said he would vote to support every position promoted by President Trump. He was considered a weak candidate by the Republican hierarchy. Outside money was brought in and media buys were run on the local markets to bolster the campaign. This particular race drew national attention. What everyone outside the area missed was what the candidates stood for. Conor Lamb was the Democrat. Like the Republican, he drew much money and help from outside the state. The problem is Lamb does not fit the Democrat mold. For some reason, all these smart Democrat leaders from around the country were not smart enough to find out who they were writing checks and working for. Lamb, who happens to be pro life, in favor of the 2nd Amendment favoring guns, pro military (he’s a vet), against Pelosi for House Leader, and in favor of the tax cuts passed without any Democrat votes. The end result is the Democrat is the real conservative while the Republican was a populist. Lamb is so far removed from the Democrat philosophy that he probably would not win a Democrat primary against any competition. The irony is that he will only serve until the end of the year. Recently the Pennsylvania Supreme Court, which the Democrats recently gained control, ruled that the Pennsylvania State Legislature drew the various district lines to favor the Republicans. The Court redrew the lines to favor the Democrats. The Republicans filed a lawsuit against the Supreme Court in the Federal Court system saying the power to draw the district lines is given to the Legislature in the Pennsylvania Constitution, and not the court system. The Federal Court system has refused to hear the case. The 18th District has been redrawn in such a way that neither candidate will live in the new district. The new district was cut up to create a Democrat majority. It is one of 5 districts across the state where Republican districts were redone to favor the Democrats. The Special Election resulted in a victory for Lamb by some 600 votes. However, there was a complaint filed by the Republicans that claimed there was voting irregularities at some polls. It seems that some computers were recording votes for Lamb where the voters voted for Saccone. All the suspect machines were impounded for examination. Whenever this happens, why is it always benefitting the Democrat candidate? Computer glitches never seem to benefit the Republican. I personally believe that Democrat Lamb will be declared the winner and seated in the Congress. What remains to be seen is if he will vote in favor of the Republican legislation he said he supported on the campaign trail or succumb to the Democrat hierarchy and oppose anything Trump. I’ve rambled enough on this post. 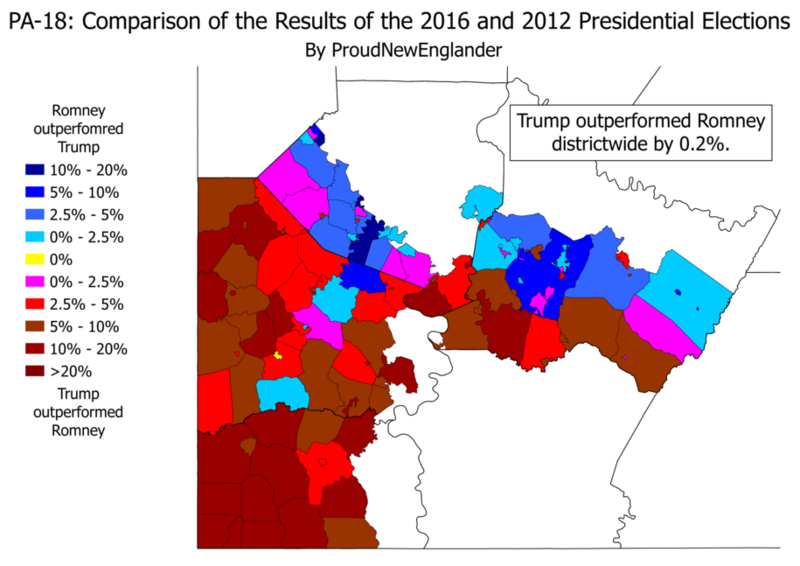 The important thing to remember is that the voters in the PA 18th District elected the conservative in this Special Election. Even though he probably can’t win a Democrat primary against any mainstream Democrat, he will still represent that party until the end of the year. The Republicans did not lose this race. A conservative will still represent this District in Washington. At least until the end of the year.